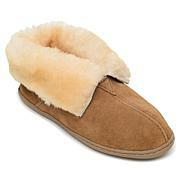 Walk the dog or go grab a coffee in the comfort of your slippers. 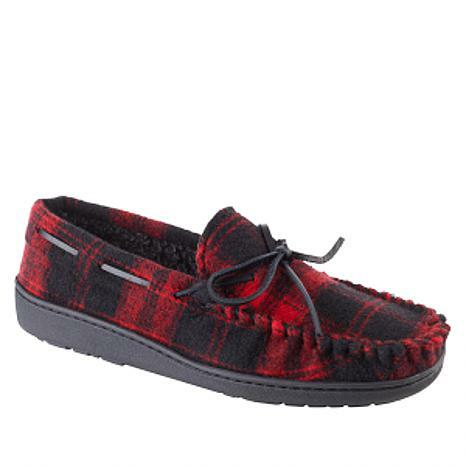 Designed with specially constructed indoor-outdoor soles, these flannel slippers are for more than just lounging around the house. But you'll love wearing them whenever your real shoes come off. A thick pile lining helps cushion every cozy step. Since Christmas, I can't get my husband to wear anything else - he loves the support and comfort and they are very "cute" on his big feet. 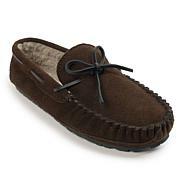 Bought these for my husband & he loved them. Great quality and fit.